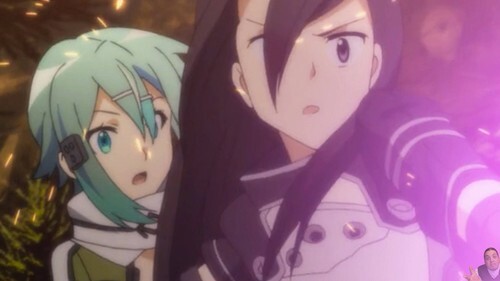 Sword Art Online Gun Gale Online Kirito and Sinon. Sinon and Kirito look amazing and surprised in the picture. :3. HD Wallpaper and background images in the Sword Art Online club tagged: sword art online gun gale kirito and sinon.